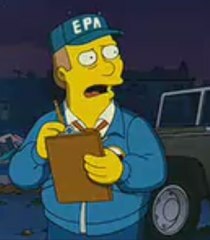 The EPA says the spill was caused by rain, that they followed procedures, which apparently means the public is not to be notified. An internal alert was sent Aug. 23 among EPA staff members and some local officials, but the EPA did not notify media and the public about the spillage. It took the EPA two hours to get the situation under control, although they have not told us how much of the yuck actually spilled or what exactly was in it — precipitated metals, lime, discharge water and solids, Kool Aid, it’s all very vague. The EPA says the spill “never reached a level” where they needed to notify the public. Which is interesting, because neither did that major spill last year. It wasn’t until we ratted them out that the agency came clean, so to speak. It appears the Durango Herald only learned about the event through dogged reporting, two days after the spill, after rumors spread when the head gates closed. Two spills in one year without notifying the public, this is what we have to look forward to when the EPA begins Superfund work up there — secrets and coverups. Kudos to the Durango Herald for doing their public service duty.